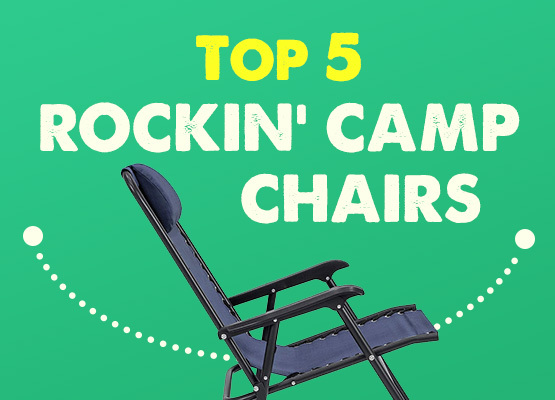 As the most popular recreational activity in the United States, it’s no surprise that many RV owners spend days on end in their vehicles, and therefore, need a place to keep their food. If you’re a casual camper, road tripper, or trucker, chances are you’re looking at a 12v cooler for your car. Is a portable electric cooler worth it? We should start by saying that you should not expect incredible cooling power from any of the cheaper options. Electric coolers in this category are generally designed for truckers and daily commuters who are constantly driving, and simply need a place to keep their groceries or drinks cold. So if your van adventure is more of a sustained road trip, in which you’re on the road daily, then a constant energy draw is no big deal when your engine is running so often. 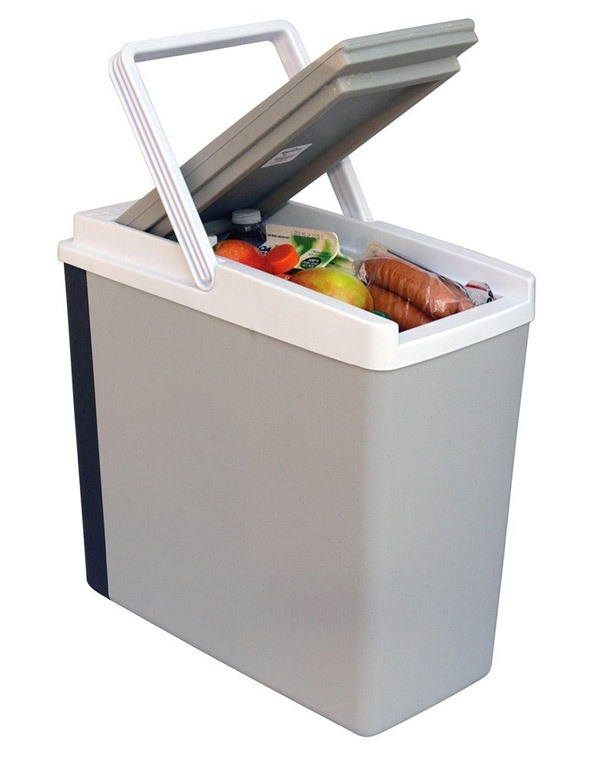 Alternatively, if you rarely need to cool food/drinks, a 12v cooler might seem attractive (although, a simple ice chest might provide a better result, with no electricity needed). I still want one, which should I choose? If you don’t need the electric cooler to get down to very cold temperatures, and you have the space in your van, car, etc., there’s a few key things to look out for in these little 12 volt electric coolers. To put it frankly, a lot of the inexpensive electric car coolers are crap. It’s as simple as that, so don’t waste your money on something that is just going to keep your drinks a few degrees below room temperature. That being said, this Koolatron 18 qt. 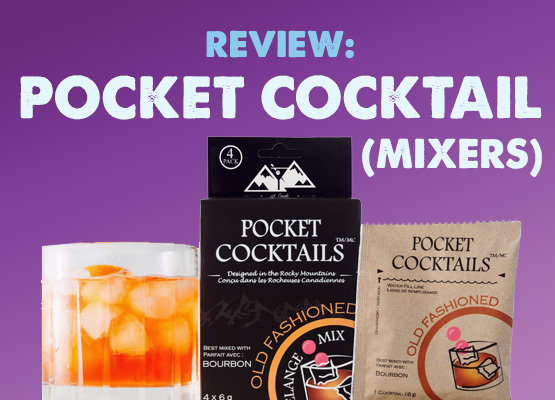 Compact Cooler is probably the bare minimum of what we’d recommend. What we do like is the dimensions of the cooler. Camper vans often have little nooks and crannies, and this could fit nicely in between shelving units or simply between the front seats. And for what it’s worth, this unit also heats it’s contents, if desired. It draws about 50W, and could be handy for keeping takeout food warm. However, don’t expect to keep anything that’s quite perishable in here for long. If you want cold drinks on the road without taking up a lot of space, this might be a good option. A good middle-of-the-road option is this Wagan Electric Cooler & Warmer. 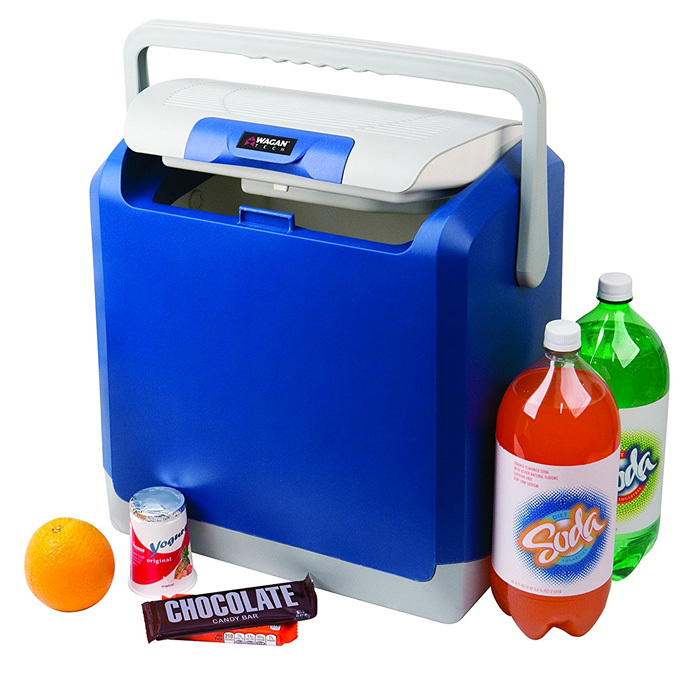 What we like is that you can use this portable electric cooler just like an “analog” cooler and fill it with ice. It’s more of an all-purpose cooler than a car cooler. 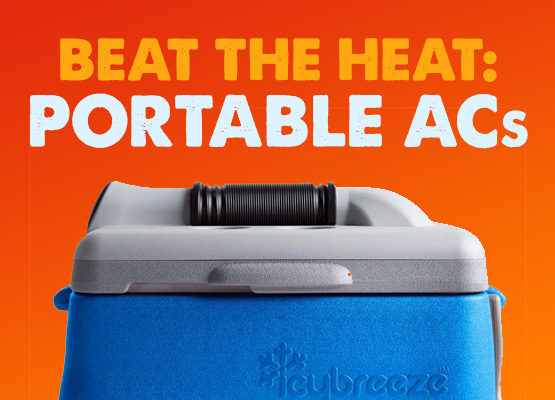 12V coolers like this are appropriate for certain applications – if you just want to have a few drinks cooled down, you don’t necessarily need to go buy a bag of ice. An eight foot power cord allows for flexibility, while the vertically-oriented 24L capacity is perfect for a variety of uses, and is tall enough to fit wine bottles standing up. What’s the catch? This blue devil draws 5amps when running, which is crazy high. But if you unplug it when you’re not driving, you’ll be good to go. 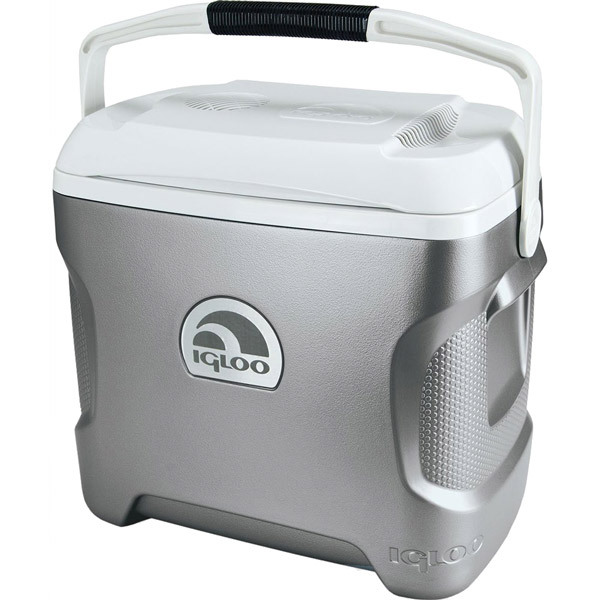 If you plan on using a cooler mostly for casual affairs, like day trip picnics, a lighter weight and ergonomic design like the Igloo Thermoelectric Cooler might be your best bet. Convection cooling features a quiet fan that can cool up to 36 degrees below outside temperatures. An 8 foot cord is also included in this 26 quart capacity cooler, so fairly less room than the Coleman above. With the carry handle and decreased capacity, this is less of a “stationary” unit, and more of a portable 12V cooler to plug in on the way to an event, and then carry to it’s final destination. 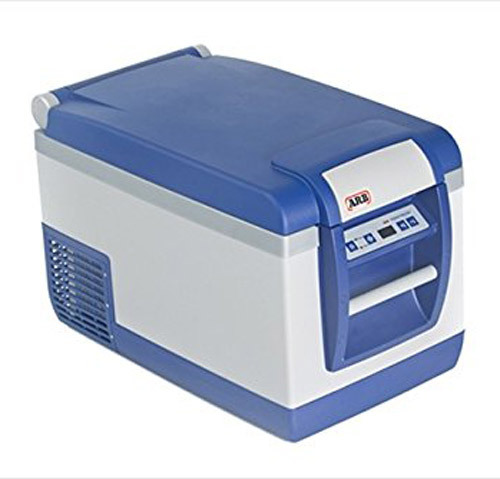 An ARB Fridge is one of the sturdiest and most powerful choices for a 12V “cooler”, although this is more of a legitimate fride/freezer combo. The compression-based fridge is multipurpose, and unlike other coolers, it’s not dependent on ambient temperature– meaning it can hold temperatures as low as 0 degrees Fahrenheit. Once the ARB fridge gets down to temperature, it pulls about 1.8amps at 55W, which isn’t bad (although the Dometic below is even more efficient). Other features include an adjustable battery protection system and heavy-duty insulation. However, this is by far the most expensive on the list. While you might still save money and/or space compared to a full 3-way fridge, these tend to be the priciest type of 12V coolers. If you’re building on a budget, you might consider a YETI cooler, which is half the price and can keep ice for 4-5 days. The drawback, however, is less usable space within the cooler (with the ice added). 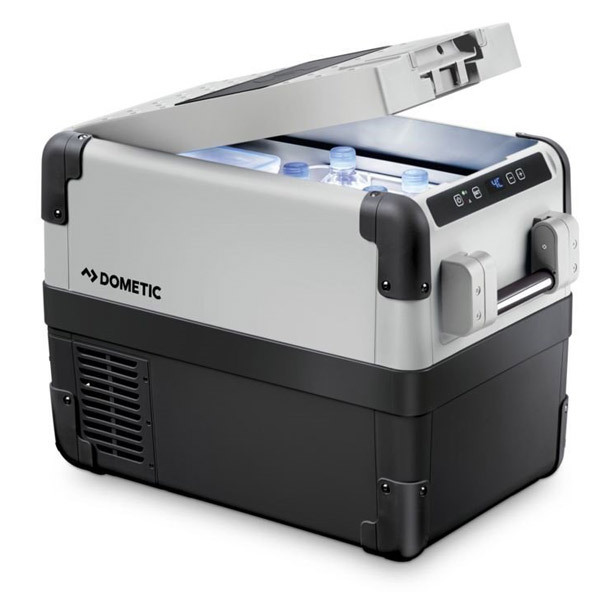 Again, if you’ve got the budget, the Dometic 12V fridge/cooler/freezer is among the best you can purchase. Like the ARB above, with the high price tag comes excellent reliability (although the dometic is almost $200 less than the ARB). It sips energy at just 0.77 Amp hours per hour (for the smaller 34 qt. cooler), pulling around 50W, making this a great choice if you have a solar setup on your van or RV. This is our preferred choice on the list because it cools quickly, is QUIET, and doesn’t seem to show any signs of quitting on us. Note: be sure to keep the vents of this cooler un-obstructed to avoid overheating and damage to the electronics. 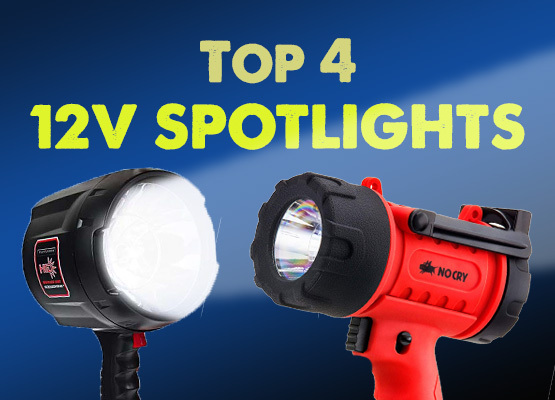 ← What’s the Best 12V Battery Available?